Known as “The Mona Lisa of Cubism,” this 1911 oil painting on cardboard hails from French artist Jean Metzinger. It depicts a naked woman holding a teaspoon above her teacup. Metzinger is a prominent name in the cubist movement. He co-wrote Du Cubisme with Albert Gleizes, a theoretical book on cubism, and ran in the same circles as Guillaume Apollinaire, Georges Braque, and notable influence Pablo Picasso. You can visit this painting at the Philadelphia Museum of Art. To some, covering an object associated with femininity with something as masculine as an animal pelt sexualized it. You can visit this teacup see if you agree at the Museum of Modern Art in New York City. When you think of Jackson Pollack, you probably think of his famous “drip” paintings, made by pouring paint on canvas. But after his drip period, Pollack launched into a figurative period during which he painted more recognizable people and shapes. 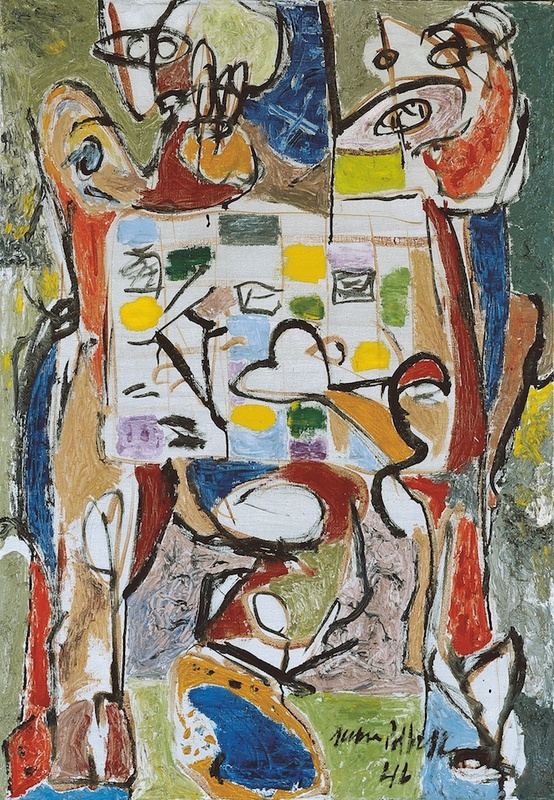 The Kunstmuseum in Basel, Switzerland debuted a show called “The Fugurative Pollack” last year that included this 1946 painting, “The Tea Cup.” Can you spot it?